Today, the Recirculating Farms Coalition, along with fishing, consumer and conservation organizations, won a major legal victory when U.S. District Court for the Eastern District of Louisiana decided that a federal regulation to develop finfish farms in the Gulf of Mexico was invalid. Worldwide, ocean finfish aquaculture has caused a wide range of problems, including fish escapes; deaths of sharks, seals and other marine life; and changes in ocean ecosystems. While winning the lawsuit will protect the Gulf of Mexico and areas all around the country from development of industrial farms under existing fishing laws, there already have been discussions in Congress to approve a new law to allow marine aquaculture – as backup in the event the lawsuit went the way it did. Back in June, Senator Roger Wicker of Mississippi introduced the Advancing the Quality and Understanding of American Aquaculture (AQUAA) Act and a similar bill in the House of Representatives is expected in coming weeks too, as that now is the industry’s only way forward. 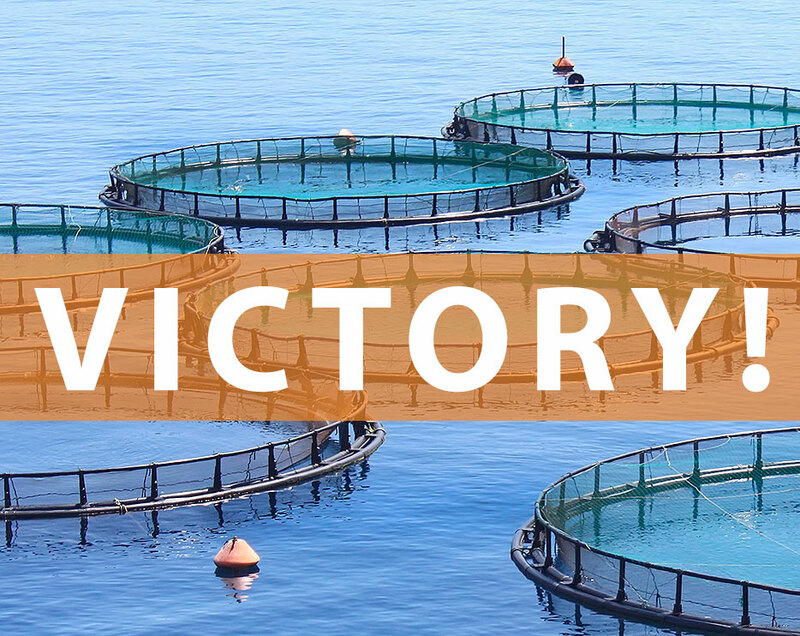 “This victory today brings us one step closer to protecting public health, our marine wildlife and environment, and fishing communities, but we need to stay vigilant and let Congress know we do not want destructive finfish farming in U.S. waters.” Cufone said. Click here to read the full judgment, or here to read the press release. And don’t forget to tweet your support with #dontcageouroceans!